﻿﻿A Free Massive Open Online Course (MOOC) and Local Classroom (Coaching Circles) - For Eight Weeks Beginning September 3rd, 2015. As an urban ecolab, group epignosis is pleased to again, be hosting this free MITx course for community members in the Roanoke vicinity. Consequently, and having formed a "hub" (Roanoke's U.Lab Hub) in January, core group members completing those sessions are eagerly anticipating coaching local learners enrolled in U.Lab 2.0: Transforming Business, Society, and Self. Introduction to "Leading from the Emerging Future"
Inspired by Otto Scharmer's and Peter Senge's work with learning organizations at MIT, the U.Lab 2.0 is a free, massive open online course (MOOC) offered to global learners (more than 30,000 for the initial U.Lab) desiring "to create profound innovation . . . by leading from the emerging future" (see: Leading from the Emerging Future: From Ego-System to Eco-System Economies). 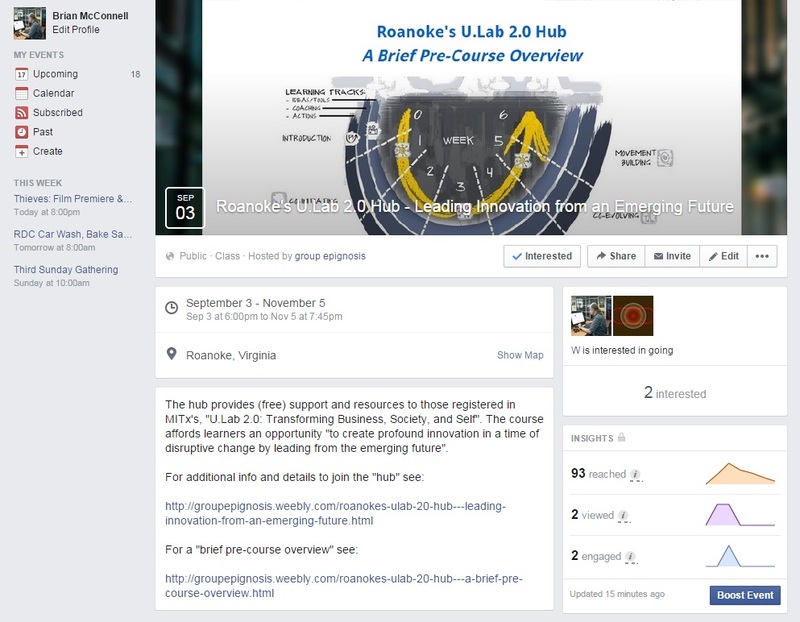 Beginning with an introductory orientation to U.Lab 2.0, course participants will meet Thursday, September 3rd (6 pm) at Roanoke's main library for a brief overview of Theory U and the eight-week journey upon which they're about to embark. Similarly too, they'll have an opportunity to meet the hub's "core group", better familiarize themselves with the projects and prototypes already initiated to this point, engage in an interactive discussion with other hub members, and express their preference of coaching circles. The next two practical steps? Enroll in 1) U.Lab 2.0 at edX and, 2) let us know using the online form below you wish to become a hub member and plan to attend one of the weekly coaching circles (Monday, Tuesday, or Thursday) over the course's eight weeks. For a more detailed explanation of U.Lab theory and practice, please see the hub's resource page, "A Brief Pre-Course Overview". 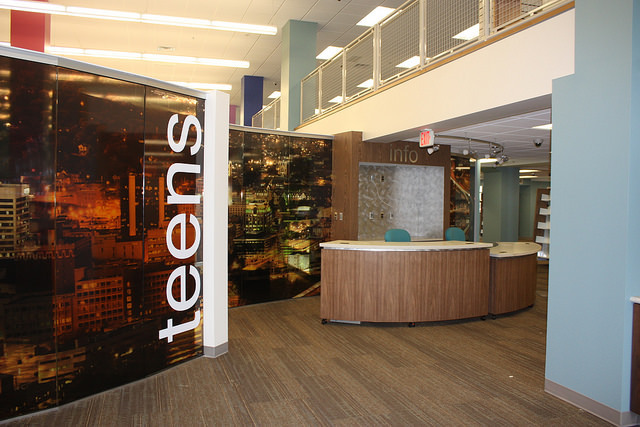 Notice of completed registration and/or request for Roanoke U.Lab 2.0 info? If you've successfully completed registration for U.Lab 2.0 at edX and would like us to know, and/or have a question we can address, please complete and submit this online form.
. . . let Roanoke's U.Lab 2.0 Hub know I've enrolled in U.Lab 2.0 at edX and intend to participate in one of the weekly coaching circles. . . . ask a question about Roanoke's U.Lab 2.0 Hub and have provided my email address to receive a response. Please use this space to contact us and we'll try to respond in a day or two. We can typically respond to your contact within a day or two. Thanks!